The last three decades of the 20th century witnessed the rise of Islamic movements in the Middle East and their transformation into a leading power, opposing the existing social and political order. This Islamic wave is noteworthy for its scope, strength and the violence perpetrated by the extremists on the fringes. In Islamic culture, Islam plays a central and important role in political and social struggles. Islamic ideals constitute the basis for the creation of a joint political and social identity as well as a source of inspiration and legitimacy for the struggle. The success of the Iranian Islamic revolution became a source of inspiration and simulation for the revolutionary movements, particularly the Shiite movements, which sprang up in the 1980s. They were led by religious militants, under the leadership of Khomeini, who promoted the vision of an Islamic nation. The Hezbollah movement in Lebanon is one of the torch-bearers of this goal. The growth of revolutionary social movements, which publicly criticized the existing regimes, engaged many researchers and regimes. Their composition and characteristics differ from society to society and from era to era and they are influenced by the relationships between state and society, the social, economic and internal political situation and the regional and international systems. There is an internal dynamic in these movements that is characterized by a transition from spontaneous and informal modus operandi, usually based on the charisma of a leader or group, to an institutionalized and organizational system based on formal rules and norms. The “collective behavior” approach. The “collective behavior” approach is based on psychological and social theories of group behavior and contends that the existence of structural and ideological opposition to the regime on the one hand and a significant rise in the personal distress characteristics on the other hand are essential conditions for the development of revolutionary social movements. The “management of resources” school of thought. The “management of resources” school of thought is based on conflict and economic theories according to which the important factors in the development of social movements are, in particular, the accessibility of resources and the existence of a formal organizational infra system. The “integrated” school of thought. The “integrated” school of thought combines principles from both approaches according to which the growth of social movements results from both the organizational system conditions and the psychological social conditions. The development of a revolutionary social movement is possible, therefore, only when a number of conditions exist: the transmission of feelings of alienation and distress from the individual level to the group level, the creation of a new system of concepts and ideals, the development of an ideological framework and organizational enlistment. The escalation of these processes leads to the development of conflict between the revolutionary movement and the regime. Researchers of terror organizations contend that in societies where such religious or ethnic revolutionary movements grow, the violent activity stems from feelings of frustration and alienation and from religious motivations. These motivations lead to rigid religious bigotry and the growth of radical religious terror organizations whose aims and method of operation differ from the goals of the “mother-movements” from which they sprang. Researches dealing with revolutionary movements in their first stages point to their tendency to rally round the charismatic leadership of an individual or a group. The identifying marks of this pattern are: the existence of a special moral and revolutionary zeal amongst the members of the movement, the absence of a formal organizational system and a strong tendency to demolish existing institutions. This method of operation, based on the centrality of the charismatic leader, tends to eventually undergo a change to a mode of operation based on institutions. This stems from the reciprocal activity of individuals and groups in the movement inspired by the leader. Institutions have a tendency and sensitivity to change, arising from the differences which the individuals and groups reveal when interpreting the ideals and values upon which these institutions are based. In the institutional model, complex reciprocal relationships of “give and take” and of conflicts develop. They often balance and block the initiatives of the charismatic leadership. The transition to an institutional method of operation is the result of internal processes and external coercion. It stems from the need to safeguard the accomplishments achieved so far, defend the movement from external threats and enable it to exist and operate in a changing environment for a long period. The transition to the “institutional method of operation” indicates the ability to adapt and the existence of pragmatism in the movement. The background and the conditions and processes that enabled Hezbollah to develop in certain ways are similar to those which influenced the development of other revolutionary movements. Nevertheless, the model that developed in Lebanon is different and unique due to the Lebanese ethnic system, Lebanon’s special geopolitical situation and the movement's Islamic Shiite character. Hezbollah emerged at the height of the crisis in the Lebanese system. It is a product of internal and regional political and social Lebanese processes, from the 1970’s and onwards, that prepared the ground for the growth of radical foundations within the Shiite community who opposed the Amal movement’s Lebanese national approach and the moderate view which it took towards the Israeli occupation. In the latter part of 1982, Iran's representatives in Lebanon succeeded in helping the radical groups organize themselves within the framework of “Hezbollah”, (the Party of God), and around its Pan Islamic vision. They recruited them to carry out violent operations against the West in general and Israel in particular. The movement burst into international consciousness in 1983 after a series of terror attacks against the multi-national forces and the Israel Defense Forces in Lebanon and it remained in the center of the international stage for a decade owing to its terror attacks, which included: kidnapping Western citizens in Lebanon, hijacking aircrafts and attacks against Western targets and Jewish and Iranian dissidents abroad. The first challenge was the end of the civil war and the bolstering of the Lebanese government's status. The second challenge was the establishment of Syria's hegemony in Lebanon versus the decline in Iranian support of the movement. The third challenge was the peace process in the Middle East. The argument which took place regarding the movement's direction, in light of these challenges, was influenced by processes and internal tensions in the movement resulting from organizational changes (transition from the charismatic modus operandi to the institutional modus operandi), the results of the fighting between the movement and the “Amal” movement for control of the Shiite community and from different viewpoints in the Iranian leadership regarding the movement's direction, as well as Syria's determination to base the stability in Lebanon on the “Taif Accord” understandings. The movement decided to change its policy, preferring pragmatism over revolutionism and the decisions were translated into deeds. The movement's representatives presented their candidacy and were elected to the Lebanese Parliament and immediately started to promote the resistance and the movement's interests. Revolutionary principles were distanced from centers of influence and power and from its institutions. The movement's leadership and its spokesmen initiated a publicity campaign in order to resolve the tension created between their supporters and the movement's goals, as they appeared in their political platform, and the new pragmatic approach which clearly negated these goals. 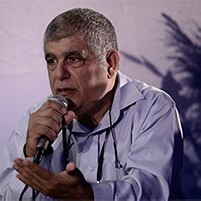 Upon the movement's representatives entry into Parliament in the 1992 elections a new era opened in the movement's history, which they believed would guarantee better survival chances as a political movement even if a peace agreement was signed with Israel and they were disarmed. Two different approaches can be discerned in the literature dealing with the Hezbollah movement: The first characterizes the writers of the 1980s and the beginning of the 1990s. It was influenced by the fanatical and demonic image that stuck to the movement as a result of the terror attacks it perpetrated against Western targets during this period in Lebanon and abroad. This image, and the secrecy which characterized its operations alongside the profusion of general, tendentious, and unsubstantiated information, which was published about the movement in the media, harmed the reliability of the publications regarding the movement. The research of the movement was more of an interpretation of the image created. It dealt with the analysis of its operations in terms that characterize terror and guerilla research, (modus operandi, casualty characteristics, casualty statistics, counter terrorism.) The exceptions are the articles that were written during that period on the ideological change and the historical roots of the movement. The second approach characterizes the 1990s (from 1992 onwards). It deals with the pragmatic Hezbollah and endeavors to find explanations for the change in the movement's behavior. Most of the researchers believed that the changes in the movement were a result of the influences of the international and regional systems in which it operates. During this period, conditions were created which enabled more in-depth reliable research of the movement due to the transparency which characterized the movement from the time it entered the political system and the expansion of its ties to the Shiite community, as well as the termination of the hostages crisis and the new conditions which were created after the Taif national reconciliation accord. The movement's spokesmen expressed themselves openly and, on occasion, made close contact with Western journalists regarding various current topics. Also, a great deal of information, more reliable than in the past, was published in the media, including the movement's own media channels. Most of the research and articles were written about the movement in the 1990s. Some of them dealt with the changes that occurred within the movement and the resulting consequences. They pointed to a number of central factors which brought about the changes: The Peace Process, Iranian influence and Syrian hegemony in Lebanon. A number of researchers dealt with the tensions that arose between the movement's platform and its new direction, which went against the platform, and the publicity line taken by its leaders on this issue. There were also researchers who researched chapters in the movement's history following the awareness created in the 1990s. The most prominent research in this sphere dealt with the kidnappings of Western hostages in Lebanon, which outraged the West during the 1980s. It is noteworthy that the researchers of the 1990’s dealt more with the social activity of the movement and its influence on developments in the Shiite community. Hezbollah is a fundamentalist social movement that developed from the extreme fringes of the wider Shiite social (ethnic) movement– the Amal movement, against the background of intra-community, intra-Lebanese and regional processes. Despite its evolutionary development, certain stages and strategic turning points can be emphasized that constitute milestones in the movement's development and stress the nature of the changes and their direction. The first was in 1982 when it was established with Iranian aid. The motives for its establishment can be found in the processes and events which took place from the 1970’s and onwards, in Lebanon in general and in the Shiite community in particular. The second turning point was in February 1985 and it indicated the movement was in a state of consolidation. During that month, it published its ideological platform, goals and operational policy. The third turning point occurred between the years 1988 and 1990 during Hezbollah’s expansion stage. An analysis of the events and developments during this period, which constitute the meeting point between the expansion stage and the institutionalization stage, explains the fourth strategic turning point, the most significant of all, since its inception. This turning point occurred in 1992 when the movement joined the Lebanese political establishment while accepting its conditions on the one hand, but not abandoning its goals to topple the present regime and establish an Islamic republic, on the other. This change indicates rational pragmatism and adaptability. It is noteworthy that Hezbollah perceives its integration into the political system as an additional stage on its way to accomplishing its long-term goal of gaining power in Lebanon not by revolutionary violent methods, but rather through a step-by-step manner, through its institutions from above, and its wider social activities from below. The hypothesis of this work assumes that Hezbollah is a Lebanese revolutionary social movement that has undergone change. These processes of change (the dependant variable) are expressed by the transition from a pan-Islamic revolutionary movement to a pragmatic Lebanese movement. The research examines the influence of the systems (the non-dependant variables), the Lebanese, the regional and the international, where Hezbollah operates, on the direction of its development. The internal administrative system (the movement) - The internal administrative system is based on civilian and military institutions that exist within the movement. They influence political behavior and the decision-making processes and its ability to bridge internal differences and to control conflicts. The Hezbollah movement was established as an umbrella organization that consists of a number of radical groups that were organized to act jointly in advancing Pan-Islamic revolutionary goals under the leadership of charismatic leaders dispatched by Iran, in accordance with Iran's interests. The organizational system is based on the military and the civilian branches that sustain each other. It is a hierarchical system and includes a decision-making council, an operational council, regional councils, intelligence and security bodies and an operational arm. The movement, as with many Islamic movements, excelled in building a wide organizational network within the community through which it supplied, and still supplies, social and religious services which the central government did not wish to or could not supply to the lower classes. In certain areas in Lebanon, the movement supplies the community’s needs in every material (employment, health, nursing care, economics, agriculture, welfare) and spiritual (education and religion) sphere of daily life and operates an alternative services mechanism to the central government. In the initial period, the movement worked towards implementing Islamic law in Lebanon from above, in a revolutionary manner. However, as the movement opened up to the Lebanese establishment and its organizational system and civil institutions, they drew nearer to the “Muslim Brotherhood” and adopted the pragmatic reformist approach that simultaneously combines activity from the top downwards on the political plane and from the bottom upwards in the socio-organizational plane. The change in the movement's status from the beginning of the 1990’s necessitated the expansion of its organizational network and its ties to the community in order to build a broad public support base. This led to the exposure of decision-makers in the movement to influences from the “bottom” through the institutions and bodies that made up the movement and to the creation of a balancing and braking system for the initiatives of the charismatic leadership. The movement's messages are comprised of a system of Islamic symbols and values taken from Khomeini's teachings, but well adapted to the Lebanese reality. The movement's tension and contrast-filled operations, which are frequently influenced by the changes in the Lebanese and regional systems, create challenges for the movement's leaders in decision-making procedures and for its spokesmen in implementing them. The movement's spokesmen are required to have a high standard of rhetoric in order to bridge the gap between the new approaches and the existing normative conceptions that guided the movement for many years. The movement's operational network enables it to spread its messages via a number of channels simultaneously and it increases the level of the citizen's exposure to the messages. The methods of doing this are varied, and they include sermons in mosques, speeches at mass assemblies, comments in the media and education in the schools. The spokesmen, who are well acquainted with the target population and the reality of their lives, adapt the manner and style of their messages to the Lebanese reality, environment and the type of audience. The central question to be examined in this context is: what are the explanations, justifications, motives and religious interpretations employed by the leaders of the movement and its spokesmen and what symbols and Islamic motifs are used in order to explain their decisions (the goals and new modus operandi) as well as the change and deviation from the normative commands that guided the movement for over a decade. The community system – The community system consists of the Shiite community residing in Lebanon and abroad. In Lebanon, they are concentrated in three geographical areas: South Lebanon, the Bek'aa valley and the southern suburbs of Beirut. The geographical separation and different living environments created varied living patterns, behavior and needs in the community, which influenced the nature of the community's solidarity and thus causing splits in the support of the various sectors and movements that developed within the community. Feelings of discrimination, which developed within the community over the years and were the basic common denominator that connected them, were the foundation upon which the new social movements grew from the 1970’s and onwards. Amal and Hezbollah pushed the representatives of the old Shiite establishment (the Zuaama), who had controlled the community ever since Lebanon's independence, aside. The community's involvement and support of the movements that operated in its midst is characterized by change and dynamism, which arose from the realization of personal, familial and tribal interests. These characteristics are the basis for the development of, sometimes violent, power struggles between the movements. In this respect, Hezbollah is significant for having succeeded in recruiting many activists who previously belonged to the Amal movement and thereby expanding its power base within the Shiite community. It also became a significant factor in the Lebanese establishment, mostly through donations to movements and institutions that operated within the community. The Lebanese establishment – the reference is to the Lebanese state, which has suffered from disturbances and instability from the day it was founded and thus resulting in two civil wars (in 58 and 75) and the continuing incapacity of the central government and the state's governing branches. The crux of the problem is in the multi-sect polarized Lebanese system, in the political power distribution key, that favors the Maronite sect as well as unequally distributing the country's resources for many years and thus resulting in the ongoing blatant and significant discrimination of the Shiite sect vis-à-vis the other communities. The vulnerability of this system turned the country into a playground for internal players (political parties, powerful players and militias of the various sects) as well as regional player who worked to advance their interests in the Middle East. In this context, the Palestinians gained control of Lebanon in the 1970s. The Syrians, Iranians and Israelis should also be mentioned in this respect. The end of the civil war and the establishment of the Taif Accord, under the leadership of Syria, created conditions for rebuilding the Lebanese system while strengthening the central government under full Syrian control and supervision. Changes in the Lebanese system's power, status and characteristics over the years influenced both the modus operandi and development of the internal Lebanese forces, as well as the operational characteristics of the regional players. The regional Arab subsystem – the regional Arab system includes Syria, Lebanon, Hezbollah (as a non State actor) and also Iran, although it's not Arab country. Iran’s influence on this system is very important so it is analyzed within the framework of the regional Arab system. The common denominator of these actors is their conflict with Israel. Iran and Hezbollah share an additional common denominator of Shiite Islam, which separates them from the other players in this system and influences the way in which they relate to the Israeli-Arab conflict. The Israeli subsystem – The struggle between the two regional systems is conducted along two tracks: The Arab-Israeli conflict and the Islamic-Shiite conflict. Hezbollah, which operates as a player in both tracks, took advantage of its connections with Syria and Iran to expand its activities and establish itself as an internal and regional Lebanese player of significance. Simultaneously, it utilized its relations with Iran in order to reduce Syrian pressure or thwart Syrian moves that could endanger its status. The involvement of the international system and its key players in the complex arena of the Middle East is influenced by limitations and international and regional pressures that make it difficult to restrain Hezbollah or limit its power. In the absence of a basic agreement on whether or not Hezbollah is a terrorist organization, the influence of the international system on the movement is marginal. The central question to be examined in this paper is: What explains the changes in the movement's approach and what was the influence and relative weight of the non-dependant variables detailed above on the character and direction of these changes. For this purpose, in addition to the theoretical debate dealing with the development of movements and social revolutions, I developed the model of “the development of fundamentalist movements” according to which there are five stages in the development of a movement (hereunder referred to as “the five-stage model”). The transition from stage to stage in the proposed model is not self-evident and is dependent on the development of internal processes – in the movement and the community- in a development supportive operational environment, (internal Lebanese and regional) and in the availability of resources and financial sources. The first stage – the establishment. The establishment is a result of influential internal factors and social processes during which a social political mobilization occurs. The second stage – the formation. The formation is that of consolidating the ideological platform, the goals and the aims during which the initial organizational stages develop and the enlistment of activists commences. The third stage – the expansion. During this process recruitment is expanded and the movement spreads to additional territories and “emerging” institutional, military and civilian systems are formed. It is characterized by pragmatism and sensitivity to internal and environmental processes and the tightening of central control on the movement's operations. The fourth stage – the institutionalization. During the institutionalization, new reciprocal ties are developed between the movement and its supporters and between the movement and the regime. Also, the institutions expand and their influence increases and military organizational systems develop. Pragmatism guides the decision-making processes and the central control and supervision of the movement's activities are limited. During the fifth stage, one of two things happens: either the government is overthrown, if and when conditions allow for it, or the movement “disintegrates” and is incorporated into the existing political establishment. The establishment of the Hezbollah movement in 1982 is the result of social processes in Lebanon, in general, and in the Shiite community, in particular, from the 1970s onwards. The chaotic conditions, which characterized the internal Lebanese establishment from the middle of the 1970’s (1975 – breakout of the Civil War), increased with the entry of the regional players into the Lebanese arena, which enabled the Hezbollah movement to develop, with its violent uncontrolled activity, as a revolutionary movement. The formation of the movement and its expansion were the direct results of the continuation of the chaotic situation in the internal and regional systems, the successes of the movement's violent activities and the availability of resources for its operations. The more the movement expanded and became institutionalized, the more it became sensitive to processes and influences of the internal and regional systems. This manifested itself in a change of strategy from uncontrolled violence and terror attacks, as the leading strategy, to controlled violence and guerilla warfare and the beginning of a dialogue with the Lebanese political establishment. The change in the intra-Lebanese operational environment following the Taif and Damascus Agreements and the consolidation of the central Lebanese government with Syrian support resulted in changes in the movement's method of operation and its institutionalization. The movement demonstrated a high degree of pragmatism on the internal and regional levels, where it was incorporated into the renewing Lebanese establishment while accepting the establishment's rules of the game. On the regional level, it conducted controlled guerilla warfare against Israel while taking into account “cost/benefit” considerations. The paper deals with the Hezbollah movement from a structural angle and a broad historical perspective that integrates an analytic and thematic approach explaining the reasons for the changes that occurred in the movement from its inception to the present day. This is even more important because no comprehensive research has been carried out on the movement since the 1990’s. It will examine, explain and analyze Hezbollah’s approach as a socio-political movement that underwent change from a revolutionary group working towards universal goals (Pan-Islamism) to a pragmatic group working towards achieving local goals (Lebanese). The research paper is comprised of nine chapters. The first chapter deals with the consolidation of the theoretical foundation of the development of social revolutionary protest movements. This is a complex social phenomenon that does not operate according to a single model. They appear as a result of political opportunities and are influenced by relations between state and society, the social, cultural, economic and internal political situation and by the regional and international systems. There is an internal dynamic in these movements manifested by transition from a spontaneous and informal method of operation, usually based on the charisma of a leader or a group and revolutionary zeal, to an institutional and organizational system based on norms and formal rules that blunt the revolutionary zeal and manifest themselves in pragmatism and a system of equilibrium and constraints. Despite the differences that exist between varied cultures, there are many similarities between the protest movements that sprang up in various places. The second chapter analyzes the development of social revolutionary movements within Muslim societies. Islamic fundamentalist movements have similar traits and development processes as other revolutionary social protest movements have in other cultures. However, they also have a certain uniqueness as a result of the operational environment in which they grow. This uniqueness stems from Islamic cultural behavioral codes and constant social, political and religious tensions within Muslim countries between the ruling elite and wide sections of the population. This tension leads to the development of social and political struggles and to the fundamentalist movement's outspoken criticism of the existing regime. However, here too, the reciprocal ties between these movements, the systems around which they operate and the processes that occur there, result in dynamic patterns of behavior based on cost-benefit analysis. The movements tend to “walk a tightrope” in their relationship with the regime. Some adopt a pragmatic approach and integrate into the institutionalized establishment while some continue to operate in a revolutionary manner outside the system. It is noteworthy that the pragmatists are striving to realize the Islamic vision in stages and follow a strategy of combining religious fundamentalism with political realism. These movements, which developed after the appearance of the modern state, have learned to appreciate in recent decades the strength of the systems in the areas in which they operate: the state, the regional system and the international system. However, they are also aware of their limitations and they navigate their operations accordingly within a framework of constraints and possibilities in order to advance their cause. The third chapter deals with processes and changes within the Shiite sect in Lebanon as an explanation for the establishment of the Hezbollah movement and its development during its initial stages. The discussion in this chapter deals with the processes that occurred within the Shiite sect before the appearance of Hezbollah, from the 1960s until the 1980s, and the reciprocal relations and mutual influences between the movement and the sect between the years 1982 to 1987. These changes and transformations brought about the establishment of the Shiite movements Amal (1974) and Hezbollah (summer of 82), who fought for control of the community. The reciprocal ties between the two movements, their method of operation and their leaders' declarations correctly reflect the changes in Shiite public opinion that occurred during the 1980’s and the scope of the movements' influence within each of the three Shiite communities. From the mid-1980s and onwards, the movement became a central player within the community's system due to the strong influences of the regional and international systems. Its militant operational stance against foreigners and the IDF in Lebanon, which brought about instant results, helped the movement garner the Shiite community's sympathy and support. The fourth chapter deals with the influences of the communal system on the way the movement developed during one of the most critical stages of its development, between 88-92, from the time of the civil war within the Shiite community until its entry into Parliament. The movement decided to integrate into the Lebanese political system in the middle of 1992. The decision was a result of the understandings reached by the movement during the two year war of survival it waged against the Amal movement and after a rigorous examination of the pros and cons expected from this move. “Control of the street”, or in other words control of the Shiite community's public opinion, was, and remains, the real reason for the movement’s struggles, both violent and by means of dialogue. Hezbollah’s attempts to escalate its conflict with Amal in April 1988 reflected its conviction (mistaken in retrospect) regarding the scope and strength of its support within the Shiite community in Lebanon. The end of the war enabled it to invest its resources in advancing its status within the community's public opinion and in expanding its popular network in preparation for the forthcoming competition over influence and power bases within the community and the right to represent it when dealing with the Lebanese establishment. Its impressive success in the Parliamentary elections helped the movement consolidate its image as a transformed movement but, at the same time, presented a joint challenge: To prove to its Islamic followers that the price it had paid on its way to Parliament was only semantic and that the movement had not abandoned its ideology and the path of resistance. In order to earn the community's public opinion, it had to prove itself and provide clarifications regarding the authenticity of its pragmatic image it hoped to instill in the public's consciousness and regarding the fundamental nature of its relationship with the Lebanese government against the backdrop of its special relationship with Iran. The fifth chapter deals with the relations between the community and the movement during the nineties from the movement’s entrance into parliament until the radical faction succeeded from the movement. Hezbollah’s leadership, at least so it seems, internalized the inter-community and Lebanese processes that occurred towards the end of the civil war in Lebanon and formulated a political strategy that suited the transformed Lebanese establishment. The change, which was backed with widespread publicity and propaganda, was intended to consolidate the movement's status within the community and the Lebanese establishment and take advantage of the resources existing within the institutional system in order to advance the movement's goals and increase the exposure of the Islamic message. However, the change demanded too high a price for the radicals on the fringes, as it required them to renounce their extra-institutional pan-Islamic revolutionary approach and operate within the limitations of the Lebanese political system. In the last third of the 1990s, Hezbollah assumed that it had succeeded in persuading the community's public opinion of its sincerity and new image and it proceeded to translate this into political power and laying the foundations for its activity in the era following Israel's withdrawal from Lebanon. It is difficult to decide if Hezbollah succeeded in persuading its various audiences that it had indeed gone through a sincere metamorphosis and to what extent and whether the sophisticated propaganda and continuous repetition of its messages in the media did indeed achieve its goal. However, no one disagrees that the community's public opinion is of utmost importance to the movement's leadership. A sympathetic community public opinion was vital to the movement's existence and even more so from the 1990’s onwards, from the time it was judged by the voters. Therefore, the movement's moves within the Lebanese political arena were intended, in many cases, to serve its goals within the internal community and consolidate its position as a popular patriotic movement acting to advance and improve the situation of the deprived within the Shiite community while conducting a war against Israel. The sixth chapter deals with the influential relationship between the Lebanese regime and Hezbollah. The Lebanese establishment influenced the development of Hezbollah as a movement. The chaotic situation which characterized the political system from the mid-70’s until the beginning of the 90’s created an optimal environment for the movement's growth and afforded it abundant political opportunities to expand and advance its interests. The Lebanese regime in the 1980s and 90’s existed in the shadow of powerful regional players that manipulated the Lebanese establishment, in one way or another, or the players who influenced the Lebanese regime. At the beginning of the 1990’s, Syria became the player most influential on the Lebanese regime and consolidated its status as the de-facto landlord of Lebanon. Within this system of constraints and dynamic changes, the Lebanese government tried to restrict Hezbollah’s steps and subject its policies to the government's policies. The application of the Taif Accord created a strategic change in the Lebanese government's method of operation that also influenced Hezbollah. It was forced to adapt itself to the transformed establishment, but it did not conform as the other power factors did and it continued to develop its military capabilities and conduct a war of attrition against Israel. This “independence” constituted a source of friction between the movement and the Lebanese government and led to escalation and waves of violence that disrupted the normal Lebanese way of life and, particularly, the government's plans to advance its strategy. The movement's policy of “walking on the edge” enabled it to make progress on the resistance level, but created friction between the movement and the government on the internal Lebanese level. The government's decisiveness on internal matters formed the boundaries in this sphere and the movement was forced to operate within this framework. On the other hand, the government was not able to subjugate the movement's policies and could not compel it to take national interests into account. In the absence of its ability to do so, against the background of external and internal constraints, the government adopted a flexible stance towards the resistance activities (at least declarative-wise) on the one hand, but on the other, it tried to restrict the movement's operations as much as possible. It prevented the movement from entering the administrative establishment and distanced it from involvement and influence in the regional relations system. In areas critical to the movement, such as Beirut, it was persistent in enforcing its authority, but in the south and the Bek’aa region it avoided applying its sovereignty and directly confronting the movement while enabling it to operate against Israel. Personnel changes within the Lebanese government at the end of the 1990s improved the movement's position with the political establishment and its actions were received more supportively. In fact, the government did not disarm the movement even when the IDF withdrew from Lebanon. The seventh chapter deals with the relations between the regional system and Hezbollah. The existence of a multi-player regional system fraught with conflicts whose players had conflicting interests during most of the period in respect to the Lebanese establishment in general and Hezbollah in particular brought about a situation where the regional system's level of influence on the movement was relatively small in relation to the capabilities and strength of the players. Each player in the system tried to advance its own interests and neutralize the influence of the other players. During periods or points when there was agreement between two regional players, they succeeded, not without effort, in influencing the movement's development and in imposing their authority to a certain extent. In one way or another, the regional players’ conflicting trends of influence and constraints that prevented taking action against the movement enabled the movement to maneuver its way between its patrons and its adversaries in accordance with its own needs and policies, which did not always suit all the players in the regional system. This maneuvering between its patrons’ interests was based on the assumption that as long as the movement's activities served the interests of one of the patrons, it would do everything in its power to maintain the movement’s operational environment, let alone if it served both of their interests. The movement made it clear that, above all, it has its own independent policy and it operates accordingly in a determined and consistent manner. The eighth chapter deals with the relations between the international system and Hezbollah. The system's influence on the movement's development trends was extremely marginal. The players in this system found it difficult to formulate an operational policy due to differences of opinion regarding the definition of Hezbollah as a terrorist movement. In effect, the US was the only country that endeavored, from the 1980’s and onwards, to eliminate the movement as a terrorist entity. Europe, which increased its involvement in the Middle East during the latter half of the 1990s, actually made it more difficult for the US to achieve its goal. For over two decades, the US worked to create conditions that would bring about the disarming of the movement and its elimination. The chances of achieving this were slim from the onset. During the early 1980’s, the international system, including the US, found it difficult to identify the organizations and movements that operated under Hezbollah’s umbrella and attack them. In the second half of the 1980s, international activity, particularly that of the Americans, was characterized by mediation. During this period, the Lebanese militias, including Hezbollah, strengthened their status in the internal arena at the expense of the ruling establishment that was on the verge of collapse. A number of opportunities arose to disarm Hezbollah in the 1990s, but even then the US did not succeed in achieving its goal. Furthermore, it stopped being the only influential player in the international arena and was forced to take the positions of other international players into account. Following the collapse of the peace process in the latter part of the 1990s, most of the international system's efforts were invested in solving crises in Lebanon and even the IDF’s unilateral withdrawal from Lebanon did not create the conditions that would allow for the disarming of the movement. The ninth chapter summarizes the research. The research is based on a wide range of substantial information from primary sources obtained from various databases. The information includes statements and declarations made by leaders, speeches and interviews. Hezbollah spokesmen and leaders make considerable use of the media for internal and external propaganda, for psychological warfare and for disseminating their opinions on current issues. Hezbollah’s media apparatus constitutes an important and central primary source of information through which it is possible to follow the processes inside the movement, identify changes and understand the movement's decision-making process. The importance of this source of information is due to its widespread use by the movement's senior leadership and field commanders and the significance they attach to it. The research is also based on my firsthand in-depth knowledge of the Lebanese experience obtained during many years of service in Lebanon and from many discussions, meetings and conversations I conducted with Lebanese figures from all sects, including the Shiite system, during the entire period. I received a great deal of help from the rehabilitated former Southern Lebanese Army soldiers residing in Israel in order to complete the picture and for purposes of clarification. Hezbollah’s development was influenced by the relationships between the state and society, by the social, cultural, economic and internal political situation and by the regional and international systems as well. Each of these systems influenced the development of the movement in a different manner and the extent of their influence stemmed from their proximity to the movement and the amount of pressure which they were able to bring to bear on it. The sophisticated maneuvering by the movement's leadership between the players of the various systems and their ability to adapt themselves to the changing conditions enabled the movement to survive within the transformed Lebanese system and continue to act within the Lebanese political arena while operating independently outside the framework of the Lebanese establishment. The movement was established at the height of the internal Lebanese crisis as a revolutionary Shiite movement with a universal Islamic vision that had three central goals: implementing Islamic law in Lebanon as part of the universal Islamic revolution, expelling all foreign forces from Lebanon and liberating Jerusalem. In its early years, Hezbollah used violence in order to achieve its goals. Its activists perpetrated suicide attacks and bombings against the headquarters of the multi-national forces and the IDF in Lebanon. They hijacked aircrafts, civilians of Western nationality and carried out attacks against Israeli and Western targets abroad. At the same time, the movement worked to expand its support base for its violent methods within the Shiite community. The Hezbollah movement of 2005 is a pragmatic terror movement far more dangerous than the revolutionary Hezbollah of the 1980’s. In fact, the movement has not abandoned its goals, rather it only changed its pace. It simultaneously operates within and outside the Lebanese political system, a fact that enables it a wide range of action in both arenas. The pragmatic front it presents misled, and still misleads, researchers and players in the international system. The movement's entry into the Lebanese political system was perceived by many as the first important step indicating a level of pragmatism and a change in the movement's radical ideological policy. Hezbollah even carried out a number of actions to strengthen this approach. Since the 1990’s, it invested, and is still investing, considerable effort in order to blur its pan-Islamic terrorist image and emphasize the fact that it is a legitimate Lebanese movement fighting against an occupying army. In the 1990s, it scaled down its terror attacks it had been perpetrating against Western targets in Lebanon and abroad and carried out “quality” attacks only, mostly under a heavy cloak of secrecy. For example, the attacks in 1992 and 1994 in Argentina against Israeli and Jewish targets and the attack in 1996 in Saudi Arabia against an American target. However, when one examines in depth the movement's activities, institutions and method of operation within the regional and international systems, a completely different picture emerges from the one the movement is trying to project. The Shura Council, which is the body that governs the movement, is responsible for its military terrorist operations on the one hand and its social and political activities on the other. Imad mugniyah, who is also responsible for the movement's secret terrorist arm in Lebanon and abroad and is wanted by the Americans for planning and perpetrating terror attacks and kidnappings in the 1980’s and 1990’s, serves on the Shura Council. Moreover, the movement's leaders slip up from time to time and expose their real opinions. For example, in January 2002, contrary to the declared approach that stresses the movement's socio-political arm and plays down the military arm, Mohamed fanish, one of the movement's representatives in Parliament, stated that “there is no difference between the military and political arms of Hezbollah“.2 The idea of an Islamic state in Lebanon has also not been shelved, rather it will resurface when the right political climate comes along. Hezbollah is not sitting on its laurels and over the past two decades it has established a network of international terrorism in over forty countries that is operated by the Shura Council and the Jihad Council headed by Nasrallah and Imad mugniyah. 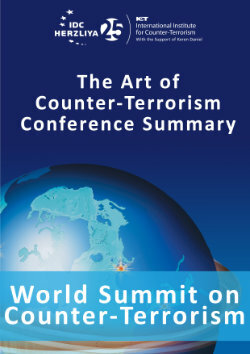 This international terror network, whose cells have already perpetrated attacks and attempted attacks from the 1990’s and onwards, is considered to be the most organized terrorist network in the world and constitutes a threat to the interests of the US and Western countries who have defined the movement as a terrorist organization.3 The terror network, which the movement established abroad, is used to gather information, carry out attacks against Israeli, Jewish and Western targets abroad, purchase and smuggle arms and as a financing source for the movement's activities. Even after the IDF’s withdrawal from Lebanon (May 2000), the movement continues to initiate terror attacks against Israel, including placing explosive charges, artillery bombardments and kidnapping Israeli soldiers and civilians. Simultaneously, it finances, trains and activates Palestinian cells and terror organizations in order to perpetrate attacks against Israel so as to prevent any progress being made in Israeli–Palestinian relations. Hezbollah is also active in enlisting and activating Israeli Arabs to perpetrate terror attacks inside Israel. In addition, Hezbollah also utilizes its international network in order to launch attacks against Israel via Europe while using forged European passports. The mutual deterrence that exists between Israel and the movement following the withdrawal as a result of the movement's deployment of thousands of rockets and artillery guns in Southern Lebanon influences the operational policy of both sides who are careful not to digress from the “rules” developed between Israel and the movement following the withdrawal. Hezbollah is also active in the arena of Iraqi Jihad. It is one of the leading elements in the media battle against the American involvement in Iraq. Moreover, Hezbollah finances radical Iraqi Shiite elements, established a secret network in Iraq and its activists, in collaboration with local and Iranian elements, are involved in perpetrating attacks against American targets. Hezbollah is a non-state actor and does not have the capacity to become a genuine threat to the existence of one of the actors in the international arena. However, its sting is still dangerous. The movement is aware of its limitations and therefore it cautiously navigates its way between the various players. Nevertheless, it did not hesitate to confront its patrons or adversaries and display a significant amount of independence when its leaders felt that conceding its position was in contrast to its policies and the operational principles that guide the movement. In reality, the movement succeeded in surviving all the crises and even rehabilitated its relationship with its patrons, Lebanese public opinion in general and the Shiite community in particular. Nasrallah, the leader of the movement since 92, adopted a policy of “walking on the edge” in his relations with the Lebanese and regional systems and he derived the maximum from both worlds. He plays the internal Lebanese political game and works towards assuaging the Lebanese people’s suspicions regarding the application of Sharia in the country. This political activity is part of the movement's method of operation that separates religious Shiite thinking, which is based on the principle of the rule of the religious sage and Pan Islam, from the daily activity within the existing establishment in order to achieve the movement's goals. This separation enables the movement to simultaneously operate within the political establishment and continue to develop the Shiite belief without one interfering with the other. The research examined the influence of the systems (the Lebanese, regional and international) on the establishment of Hezbollah and its developmental trends. The conclusions derived from the research are that the above systems influenced, and are still influencing, the movement. Differences exist in the extent of the influence of the various systems and actors on the movement during various periods. The movement is a product of the environment in which it operates and of the system of influential and reciprocal relationships between the actors surrounding it. Hezbollah, as can be seen from the research, is a Lebanese Shiite movement with a deep affiliation and connection to the Iranian establishment. However, it was established as a result of the development of socio-political processes within the Lebanese system in general and the Shiite community in particular. The chaos that characterized the intra-Lebanese system from the mid-1970s facilitated Hezbollah’s growth as a revolutionary social movement and its violent and uncontrolled activity. The consolidation of the movement and its expansion during the 1980s were made possible due to the continuation of the chaotic situation in Lebanon and the regional system, the movement's successes, which enticed many Shiite youngsters into its ranks, and the availability of resources for its operations. The research also reinforces the following two claims: The first asserts that the more the movement expanded and became institutionalized, the more sensitive it became to the systems' internal and regional processes and influences. It changed its modus operandi from uncontrolled violence and terror attacks as its leading strategy to controlled violence and guerilla tactics and entered into dialog with the Lebanese political establishment. The second claim asserts that the changes in the intra-Lebanese operational environment, as a result of the Taif and Damascus Accords and the consolidation of the central Lebanese government supported and sponsored by Syria, resulted in changes in the movement's operational pattern and its institutionalization. It demonstrated a high level of pragmatism on the internal and regional levels and it became integrated into the new Lebanese establishment while accepting its “rules of conduct”. On the regional level, it carried out controlled guerilla warfare against Israel, taking into account “cost and benefit considerations.” Israel's withdrawal from Lebanon in May 2000 strengthened Hezbollah’s position in Lebanon and the Arab world and it became a model for emulation for the Palestinian terror organizations. An interview with Nasrallah on Al Manar, September 4, 2004. Mohamad Fanish, Al Manar, January 18, 2002.